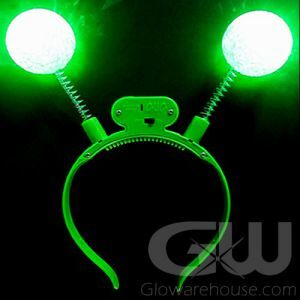 - Glows a Bright Green in the Dark! - Always Glow! No Batteries Required! 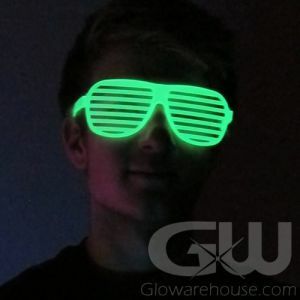 - Glow in the Dark Parties! Party Favors! Night Runs! Get ready to run, skip and jump with your Glow in the Dark Shoelaces! 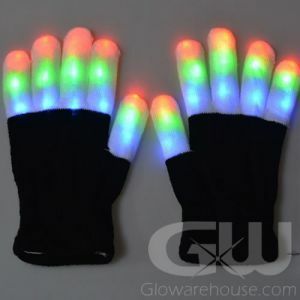 Perfect for Black Light Parties, glow birthdays, light up costumes, school dances, glow runs and they make great gifts and party favors! 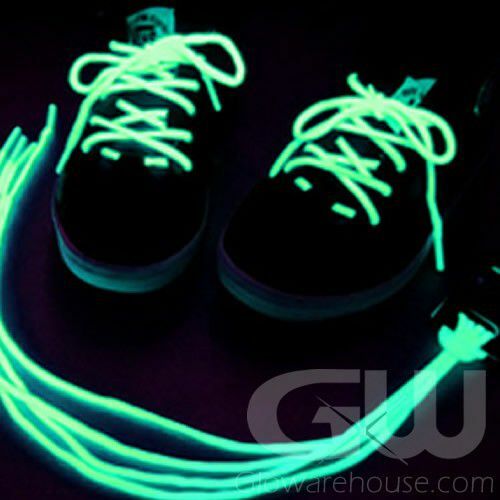 Glowing Shoelaces are sure to be a huge hit wherever you're running off to! 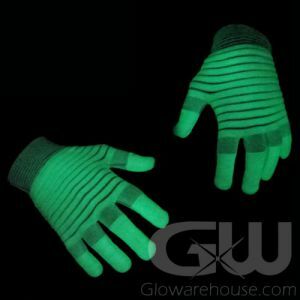 No batteries required, all you need to do is shine a little light on them (we recommend 10 minutes) and you'll get a 1/2 hour of bright green glow. Or when under a black light they will glow a bright blue - it's a very cool effect! 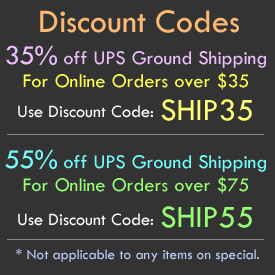 The light up laces are 39 inches long and will fit most sneakers, runners, joggers and trainers. 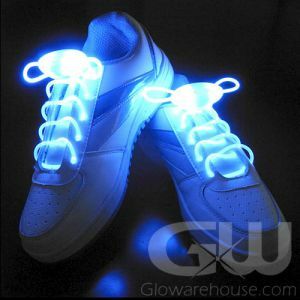 So don't walk, run to your next party with Glow in the Dark shoelaces from Glowarehouse.com!